To create my card, I first cut out a piece of Canson XL watercolor paper and then lightly inked it with some Candied Apple Distress Oxide Ink. I then lightly spritzed the panel with some water. 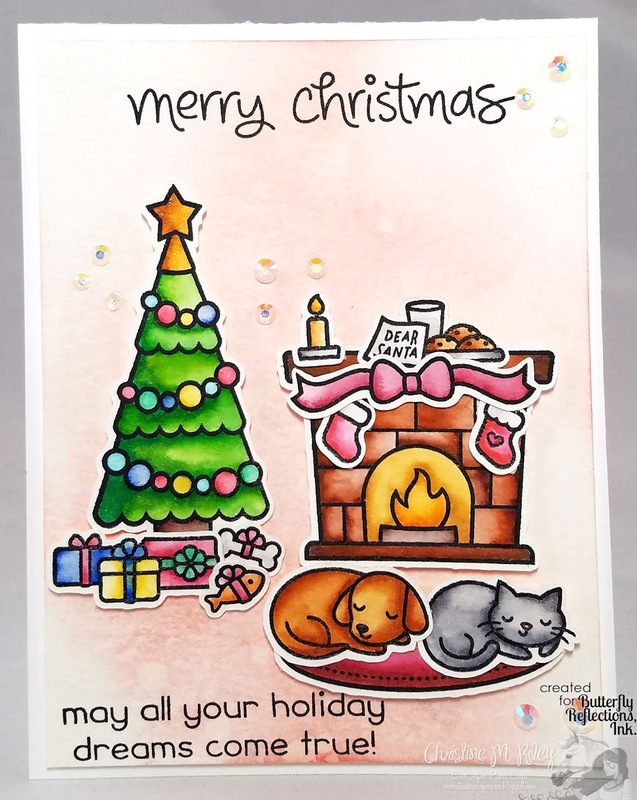 Next, I stamped my images from the adorable Christmas Dreams Stamp Set from Lawn Fawn. I stamped them onto some Canson XL watercolor paper and then painted them in with my Zig Clean Color Real Brush Markers and a Detailer Water Brush. I then cut the images out using the Coordinating Christmas Dreams Lawn Cuts Dies and then adhered them to my distressed panel. I then adhered the entire panel to a standard A2 sized card base. For a finishing touch, I added some Iridescent Crystals from Studio Katia. 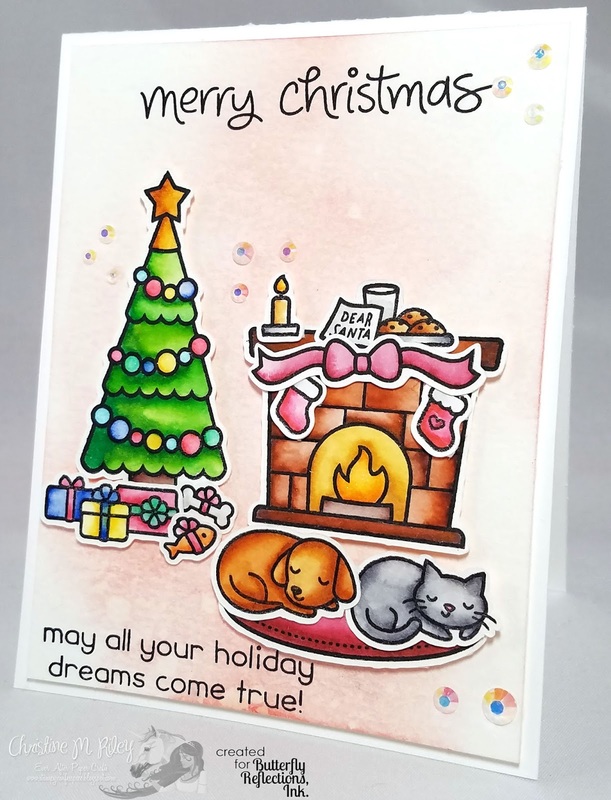 I also added some glitter to some of the stamped images using my Wink of Stella Clear Glitter Pen. What do you think? Well, that's it from me today. Thanks so much as always for stopping by!